What the Heck is a Dharma Yoga Wheel? 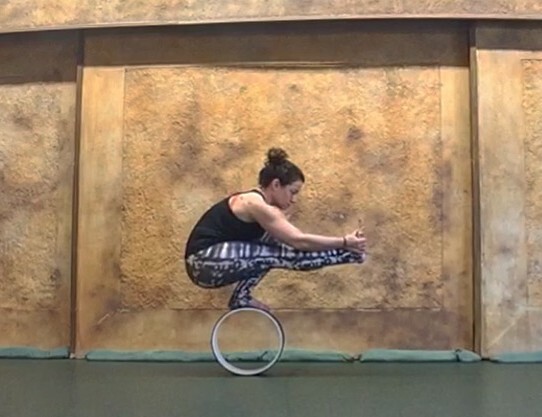 Maybe you’ve seen one lying around your local yoga studio or in one of the many Instagram pics featuring this curious large ring-shaped piece of equipment. Well, I’ve got two of them so I’ll help solve the Dharma Yoga Wheel mystery for ya. What Is the Dharma Yoga Wheel? Don’t let the name fool you — you don’t have to know anything about yoga to reap the benefits of using this awesome apparatus. All you really need to be able to do to use it is lie back and enjoy the ride! For those of us familiar with the foam roller, you can think of it as a REALLY big foam roller, which is shaped to match the contour of your spine. It can do something that a traditional run-of-the-mill foam roller cannot — stretch you out like nobody’s business. Not only can you get all the awesome benefits of rolling to release the muscle tissue, but you’ll also get to get a nice, passive and fully-supported stretch that’ll have you feeling taller and lighter with just a few minutes of use. With use, you can expect to get greater mobility through your spine, shoulders, chest and upper back. Once you’ve gotten the hang of lying over it and rolling on it, you can explore its other cool uses. For example, the Dharma Yoga Wheel offers a ton of support, making backbends far more accessible. If you’re feeling especially adventurous, you can try standing on it for balance work. 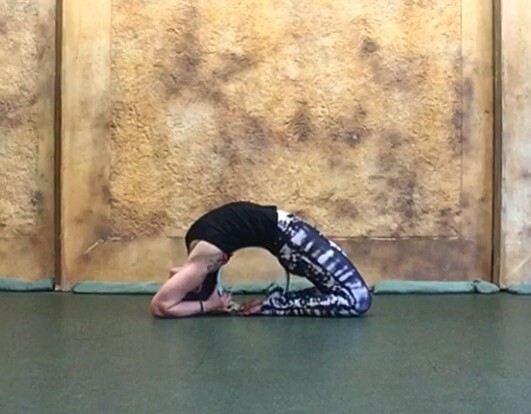 If you’re working up to any of the more advanced inversions, you can use the Dharma Yoga Wheel to build serious core strength like I’m doing here in this video to help prep you to lift off or press into handstand or as an anchor for your hands in forearm stands as you work to get your legs off the ground. But mostly, I love it for how it frees up a bunch of movement in (or “opens”) my chest and stretches my spine to help release tightness in my back. I even take it with me on long car rides to straighten myself out again when I get to my destination. The Dharma Yoga Wheel website offers some nifty sequence charts if you wanna try out some new poses, and there’s a really helpful demonstration video here, which features one of the Dharma Yoga Wheel founders. Nope, there are three sizes available to accommodate different users. The Basic Wheel (the turquoise wheel in the pictures) is a good all-around choice as a starting point. But if you’re shorter than 5 feet, the Mini Wheel might be a better fit. If you’re taller than 6 feet or just want to get into the bigger, deeper, juicier backbends, the Plus Wheel (the white wheel in the pictures) would be a great choice. 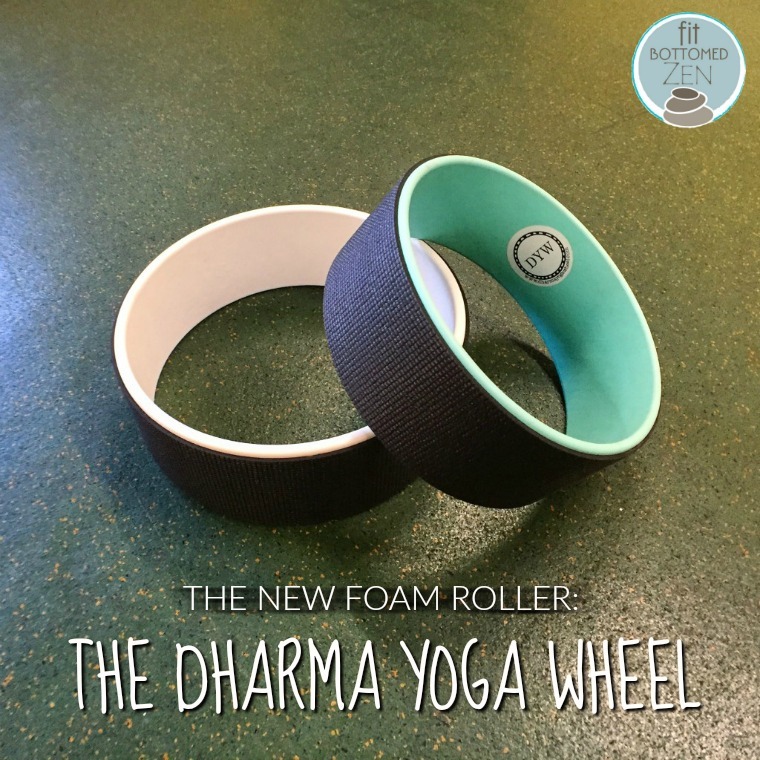 The Dharma Yoga Wheels are priced at $99 for the Basic or Mini and $109 for the Plus. The price is well worth it for how unbelievably amazeballs it makes my shoulders, chest, upper back, and spine feel after just a few minutes of use.